Have you ever heard of The Internet Archive Wayback Machine? (Yes – named after Mr. Peabody’s Wayback Machine on the Rocky and Bullwinkle Show). We have just discovered it, and it is seriously cool – it crawls through the Internet and grabs snapshots of websites and then archives them for future reference. For example, if a website started in 2006, you might see a list of numerous “snapshots” of the site throughout 2006, 2007, 2008, and up until the present. Click on one of the links, and up pops the website as of the date listed. We looked up www.sewwhatinc.com, and the results brought back a lot of memories and reflections on the evolution of the website. By September 2004, the website had grown and improved. Megan had taken a class in web design and had purchased more advanced web design software. The design was a little more polished, and we even had flash photos, fabric eSwatches, and a greater variety of content. Despite the improvements to the website, it was still a “homegrown” product with a stock design template – and the design didn’t really capture the spirit of Sew What? Enter Chris Sandberg and his marvelously creative team at Star Marketing, who, after many meetings and discussions with Megan, developed a branding strategy for Sew What? that included, among many other things, a logo (the familiar yellow and black question mark) and a brand new website. Pretty snazzy, don’t ya think? At first glance, our website today doesn’t look much different from the December 2005 version, but in reality, we have added quite a bit. 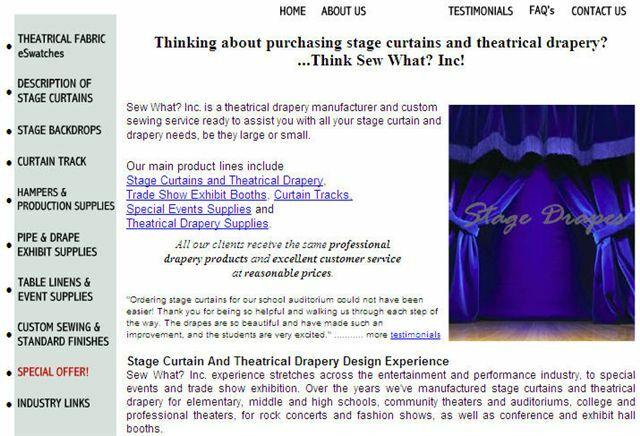 In 2007, we added a video portfolio, giving viewers a chance to see our custom stage drapes “in action” without navigating to an outside website, and as you know, in 2009, we added this blog. We are continually looking for ways to improve the way we reach people via the Internet. We utilize SEO (Search Engine Optimization) techniques to make it easier for our clients (and potential clients) to find us and the information they are looking for (thanks to Cindy McMahen at Search Marketing Pros for her continuing help with these efforts). We are continually adding new content to the site and removing any content that we find is no longer relevant to our clients. As with any good website, www.sewwhatinc.com is, and always will be, a work in progress – and it really is amazing to see how it has progressed in the last eight years! What is your favorite memory from Sew What? Karaoke Day! (Note: Ray is referring to our celebration of Elvis Presley’s birthday, in which we all dressed in costume as Elvis or Priscilla and sang Elvis songs on a Karaoke machine during lunch time). I just took a look, and yesterday marked the one year anniversary of this blog. I can’t believe an entire year has gone by since that first post day. In looking back on the 130+ entries we have post in that year – from myself, Megan Duckett, and Silvia Soler, I am proud of the content we have offered. We have provided educational information on custom stage curtains and other theatrical and special event products, we have described (and provided pictures) some amazing projects that we have been fortunate to work on, we have given insight into the evolution of the company and its founder, and we have introduced you to many of our exceptional staff members. We hope that you have enjoyed reading this blog as much as we have enjoyed writing it – if you’ll keep reading, we’ll keep writing! You may recall the post I did in late December about the terrific backdrop we made for Brian Setzer’s “Christmas Rocks! Extravaganza” tour. Well, around the same time, Megan was interviewed by The Big Picture, a print and online magazine that focuses on wide format digital printing, and this same backdrop was the focus of the interview. 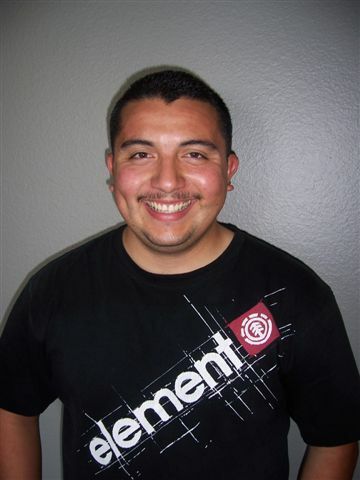 Recently, we were excited to read the article based on that interview, published in February 2010 and posted online on March 11th. Check it out to get the story from a different focus – targeted specifically to the wide format digital printing industry. … How a macabre turn of fate changed everything and lead to the birth of Sew What? Inc. I was 20-something when I arrived freshly from my native Australia and found my way into a stagecraft company specializing in amusement park installations and special events. I hung lights, drew electrical lines, rigged sets and loved the life of a rockin’ roadie. I’d have gladly continued down that path…but luck intervened. 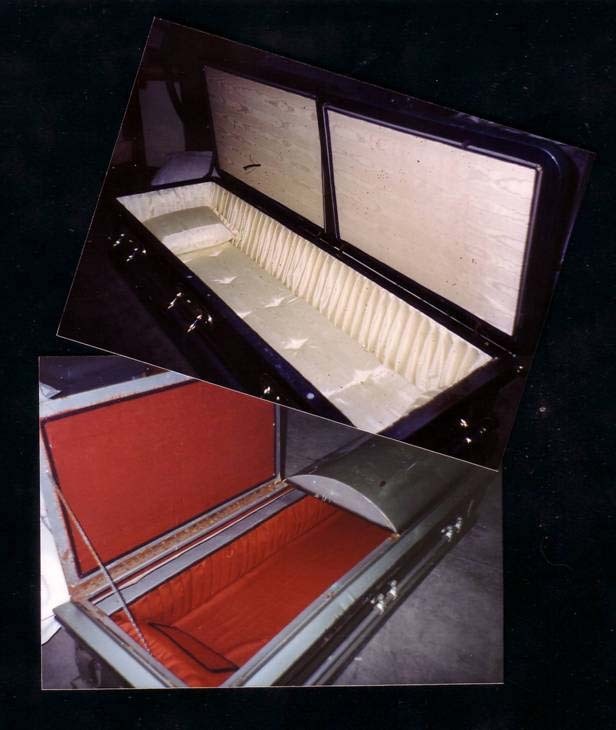 For a week, I sat in a Carson garage-style warehouse with yards of material, a staple gun and a rented sewing machine making each casket a prop to die for. In the process, I thought, this could be fun. I took on other independent projects, starting with sewing drapes and linens for entertainers and party planners, then onto specialty fabric projects for Las Vegas casinos. With my love of rock and roll, I soon began sewing drapes and backdrops for a few rock concerts. 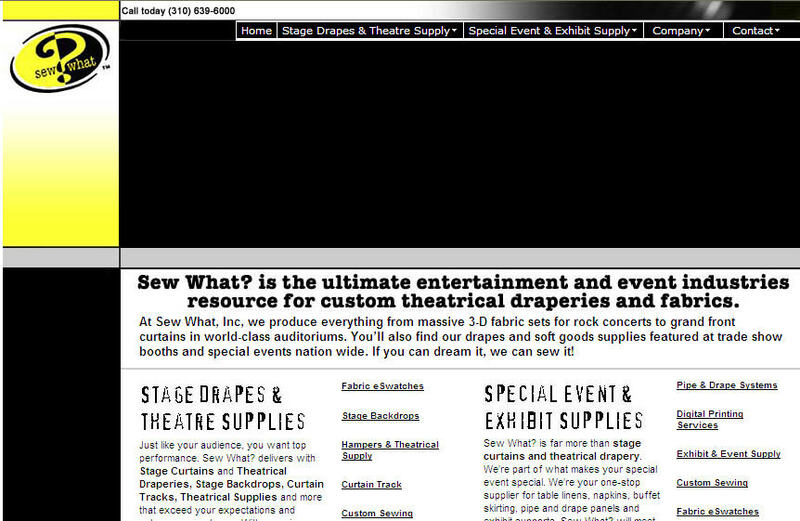 That brought an end to my work as a stagehand and launched my new company, Sew What? Inc., in 1997. 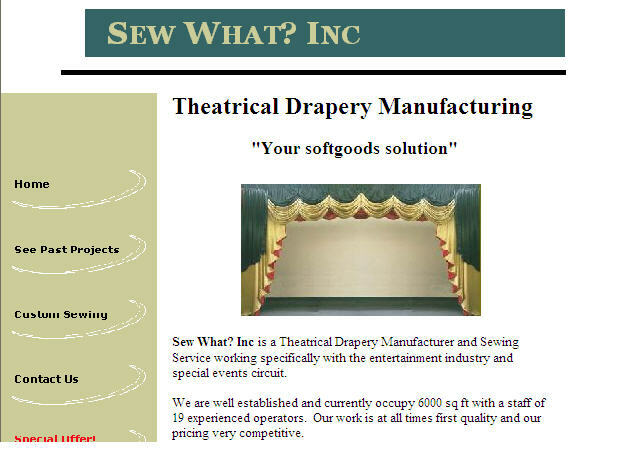 Since that time, the company has grown into one of the leading providers of custom sewn drapes and fabrics in the concert and theatrical industries, creating spectacular sets for such A-list names as Madonna, Kid Rock, Rod Stewart, Lady Gaga, and even the cover of the iconic 1000th issue of Rolling Stone. I could not be more thankful for those clients who have trusted and supported us along the way. Who knew that sewing a couple of coffins could lead to all this? Sometimes, the secret to success is just being there when dumb luck happens to fall on your head!